I live in a unit with three cats, and I often wonder what they get up to when I'm not at home. I'd like to think they get up to all sorts of strange adventures. 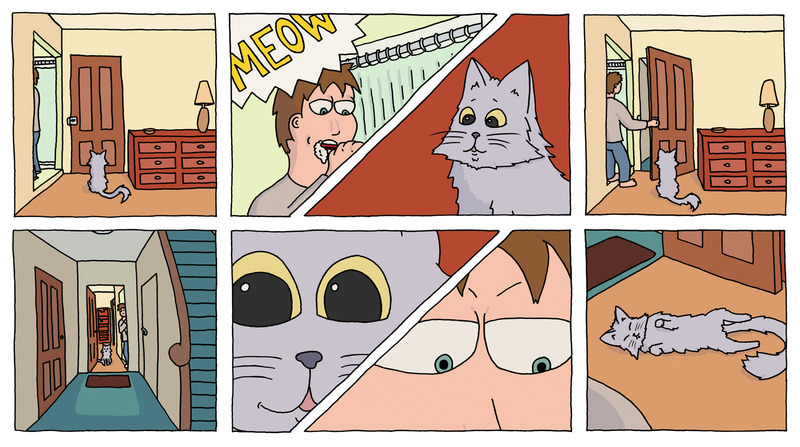 This comic explores some of those things, from the point of view of a domestic kitty. I like drawing cats, collecting hobbies and waxing lyrical about film & web technologies. I'm also somewhat relieved that beards are socially acceptable.